Tampa, Fla. (November 15, 2017) Shopping for and eating natural organic, pesticide and GMO-free food can be hard, expensive and time consuming. That is why starting on November 17, Ybor City residents, workers and visitors will be able to stop by Centro Ybor for fresh organic goods from Dover-based Olivor Heritage Farms every Friday. 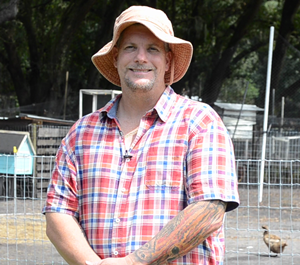 John Roberts is a Florida native and the owner and founder of Olivor Heritage Farms. Roberts and his wife Chrysti have spent the past few years growing organic fruits and vegetables as well as raising pasteurized Non-GMO meats, from their humanely-raised cage-free chickens to grass-fed beef. The Centro Ybor Market featuring Olivor Heritage Farms will be located at 1600 E 8th Avenue and will be operational every Friday starting November 17 from 11 a.m. to 2 p.m. While customers can currently order their groceries straight to their homes from the official Olivor Heritage Farms website, customers will soon be able to place their orders online and pick up their pre-packaged goods directly from the stand in Centro Ybor. One of the many ways Roberts is hoping to help those looking to save time with their groceries while also wanting to eat organic vegetables and meats. For more information on Olivor Heritage Farms, call 813-494-6751 or visit www.olivorheritagefarms.com.